Lexile: 610, suitable for children reading at a third grade level or above. Perfect bound, 170 pages , 5.5" x 8.5"
​What a wonderful book about a middle-school boy discovering the traditions of the Navajo Nation. Author Karen Glinski creates exciting adventures and expertly weaves tribal traditions and history into an intriguing story. This is a page-turner of a novel. The book engulfs the reader in the harsh life of daily living in high-desert New Mexico sheep country. Glinski’s well-drawn characters keep readers crossing their fingers over the decisions twelve-year-old Emerson and his spunky dog, Lucky, must make. His conflicted emotions make this a page-turning, stay-up-late-at-night story of danger, intrigue, and difficult choices. —Charlene Bell Dietz, author of The Flapper, The Scientist, and the Saboteur and The Flapper, The Imposter, and The Stalker. A book I highly recommend. 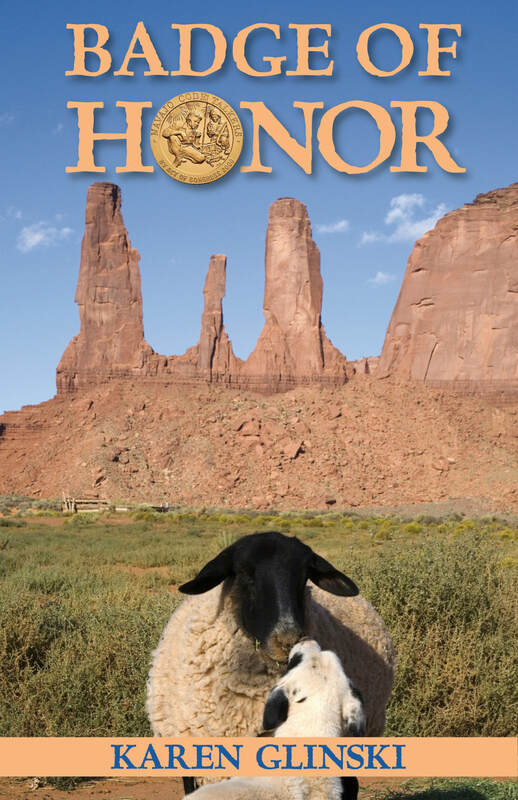 Not only well written but also a great story, with suspense, vivid characters, life lessons, and insight into the Navajo culture from beginning to end.